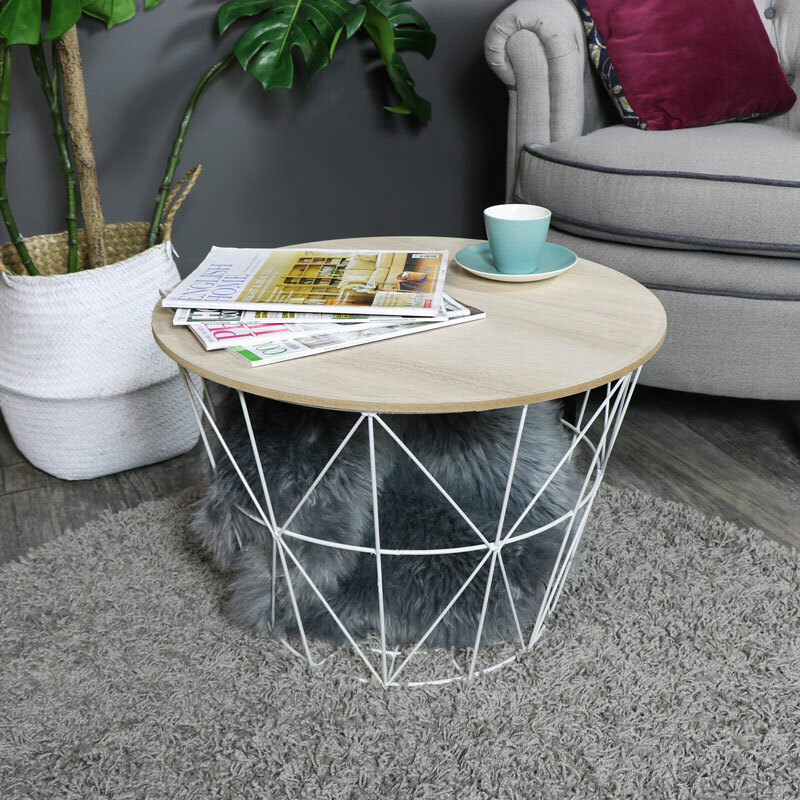 This occasional table is just perfect for the minimalist, modern Scandi style decor. Offering a great storage solution in the basket designed base with a wooden tabletop. Ideal for the living room or loft living interior. The table features a white metal base with a round natural wood table top. Ideal for use as a coffee or side table with the added benefit of the basket storage. The basket will easily store away cushions and throws when not in use. A versatile and practical table that is just what you need for those rooms where every bit of storage counts. 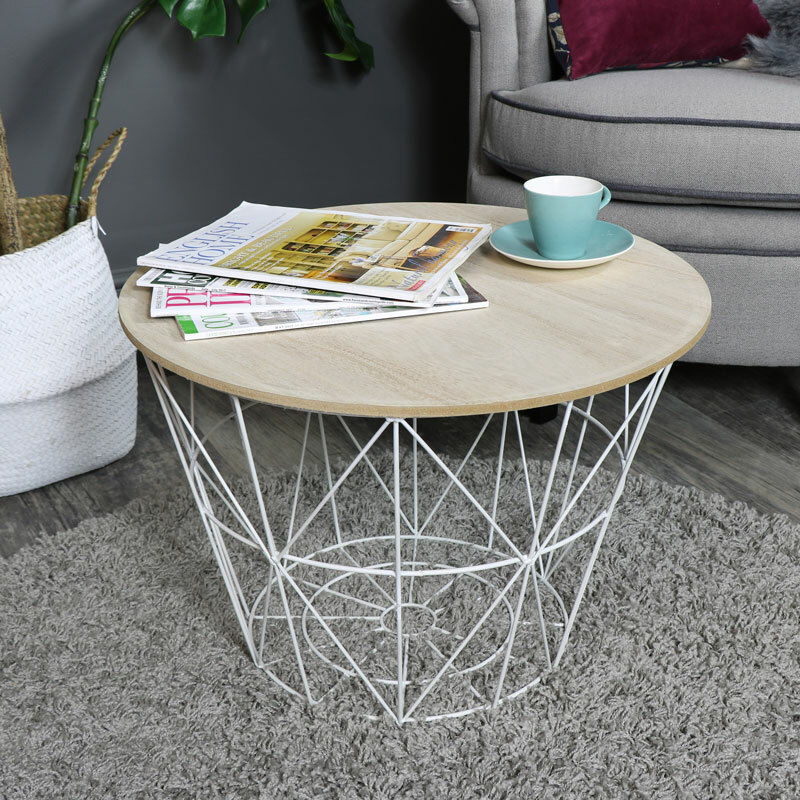 This occasional table is just perfect for the minimalist, modern Scandi style decor. Offering a great storage solution in the basket designed base with a wooden tabletop. Ideal for the living room or loft living interior. The table features a white metal base with a round natural wood table top. Ideal for use as a coffee or side table with the added benefit of the basket storage. The basket will easily store away cushions and throws when not in use. A versatile and practical table that is just what you need for those rooms where every bit of storage counts. 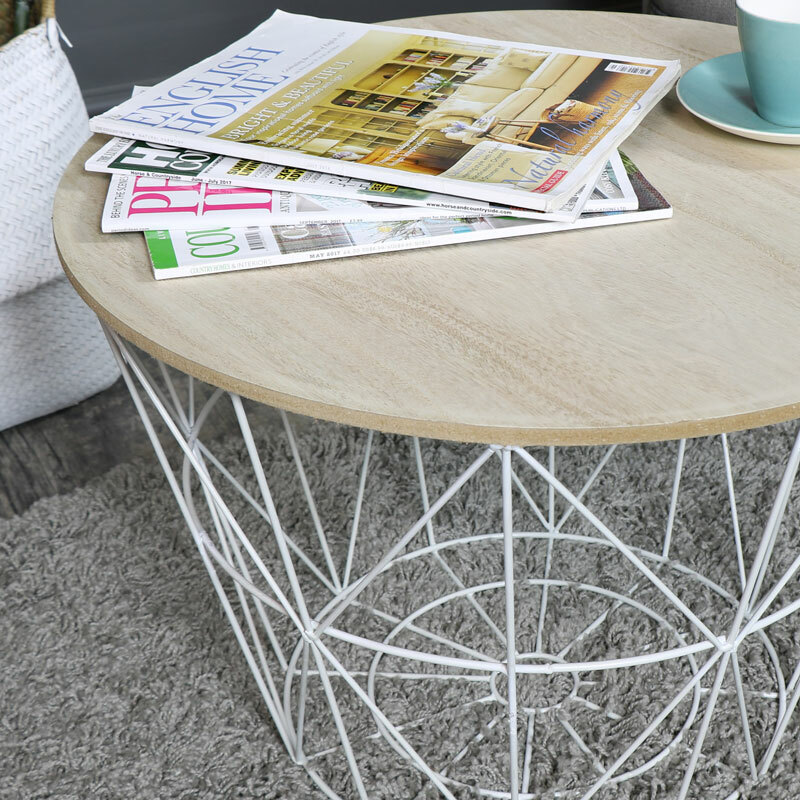 Constructed with a metal wire design base in a white finish with a circular natural wood top. the top lifts off to reveal the basket beneath. With storage being so important in any home, this table is just what you need.